First lady Melania Trump answered some personal questions in an ABC News interview during her recent trip to Africa, offering her thoughts on topics including the #MeToo movement and allegations of her husband’s infidelity. 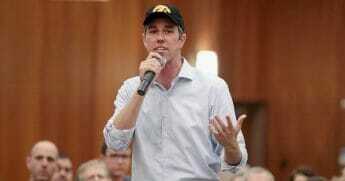 She also spoke about a controversial wardrobe choice she made ahead of a trip to Texas where she visited children separated from their illegal immigrant parents near the border. At the time, a spokeswoman said the first lady did not mean to send a specific message with the fashion decision. In her recent interview, however, Trump acknowledged that she did. Soon after the controversy, President Donald Trump defended his wife’s decision in a tweet that said the “Fake News Media” were the topic of her statement. “Melania has learned how dishonest they are, and she truly no longer cares!” he said. Do you think a first lady's wardrobe choices are important? That statement, along with Melania Trump’s explanation this week, stood in apparent contrast to the first lady’s spokeswoman. Melania Trump said she has spent time since that day wondering whether the jacket played a role in her treatment by reporters. “You know, I’m often asking myself if I did not wear that jacket, if I would have so much media coverage,” she said. Rebutting speculation that her message was intended for the separated children, she said it is “obvious” that was not her intent. “I wore the jacket to go on the plane and off the plane,” Trump said. 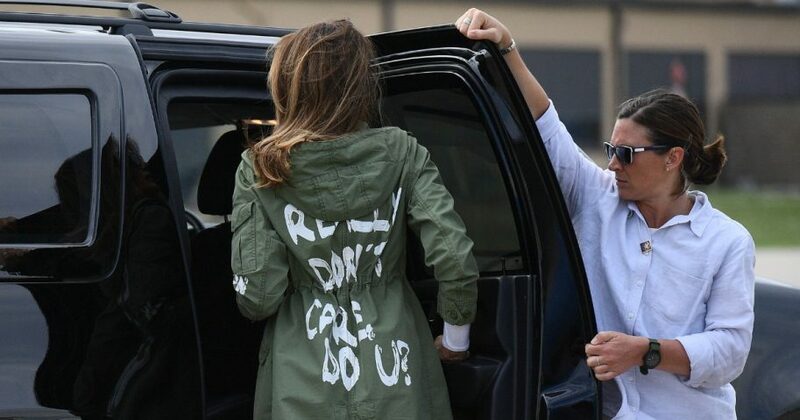 When asked why she wore the controversial jacket again on the trip home after the initial controversy, Melania Trump said it was part of her effort to mock the media. The first lady echoed Grisham — and her own comments after wearing a pith hat during a recent trip to Africa — by requesting that people stop paying so much attention to her attire. “I would prefer that they would focus on what I do and on my initiatives than what I wear,” Trump said.